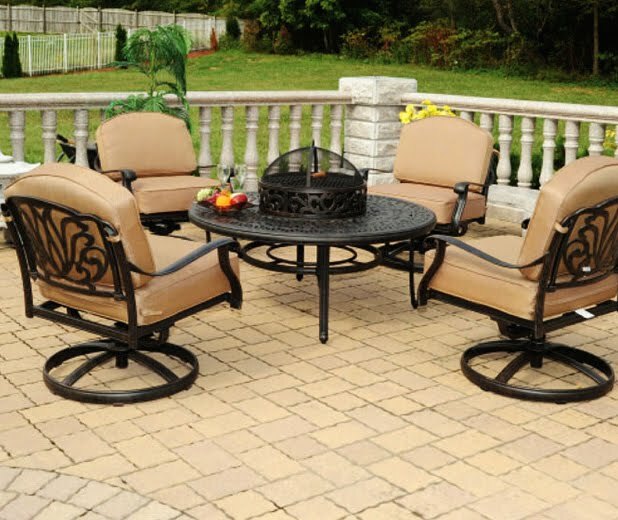 Investing in proper patio furniture is considered to be highly necessary probably because doing so can successfully enhance functionality and comfort of outdoor spaces. For example, an alluring table along with some easy-to-use chairs can transform your extremely ordinary courtyard into a sensational dining destination in absolutely no time or installing a wicker sofa decorated with plenty cushions and a wooden rocking chair could make your porch the most favorite spot of all. Even though it might seem easy, owing to a wide range of options readily available, choosing patio furniture stands to be an incredibly challenging as well as time-consuming endeavor. Rather than arriving at a decision randomly, you must try keeping certain essential tips in mind. To know what they are, please do buy some time and take a close look at the below-mentioned pointers. Is your patio going to act as a banqueting area on summer nights or would you like to arrange your child’s birthday party out there? Is it more like a solitary reading nook or ideal for party animals? After determining the purpose, start by making a proper list of the things likely to be needed. If hosting causal cocktail gatherings stands to be the chief function, you must arrange for a fire pit, cozy seating, and plenty side tables. Before choosing a particular piece, you must try cautiously observing all of its parts because whatlooks amazing might not be long-lasting or free of other glitches. In addition to having an utterly attractive appearance, ideal furniture would also possess immense tensile strength and can remain unaffected even when exposed to heat, fire, moisture, caustic chemicals, insect infestation, and various adverse weather conditions. While undertaking certain steps for maintenance is mandatory, none of us would like to spend time regularly in cleaning and polishing patio furniture. According to studies, items manufactured from teak, metal, or cedar can withstand environmental inconsistencies or whatever nature has to impose in a hassle-free manner. These materials could be preserved by adhering to simple tips and look wonderful for a prolonged period. When buying patio furniture, quite fortunately, you are not confined to the natural shades of wood, namely black, beige, and white. There is a wide range of colorful finishes readily available. For increasing lifespan and style simultaneously, you can consider adorning with accent pieces and bolsters of bold hues. No matter how amazingly you decorate your patio, things would not work out in a desirable manner if you forget paying attention to the flooring. Lay a bright rug or carpet that is immensely soft, have a rich texture, and hence makes treading upon it heavenly. Taking the tips specified above into account and implementing them with maximum caution would most certainly let you choose best furniture for your pocket gardens, balconies, petite getaways, and other external regions. Now when it comes to storing the purchased items, be it a loveseat recliner or a chaise, renting a self-storage facility is surely believed to be a viable option. People residing in New Mexico are advised to contact the providers of storage units in Albuquerque because they assure ample room, incredible security, and seamless accessibility for an affordable price.